The Nashville Lawn and Garden Show is shaping up nicely down at the fairgrounds today. Though It’s snowing a bit now, the beautiful forecast for the weekend ought to bring a bunch of people out of hibernation here in the Nashville area. Outdoor Lighting Perspectives will be providing some unique hanging lights for Paul Lively’s rustic display in the main hall as well as subtle uplighting for Chris Agee of Living Stone Landscaping. I can’t wait to see what Ponds by David and Nashville Landscape’s Gayle Higgs will come up with for the judges to see on Wednesday. Todd Breyer will grace you with his creation as you step through the front door and look in the program notes to find out when he’ll be giving a talk on flowering bulbs that will really make things pop this spring. Show hours are 10a Thursday through Saturday and 10a until 5p on Sunday. Stop by our booth and register to win a free lighting service call or a free yard spray from out sister company Mosquito Squad. 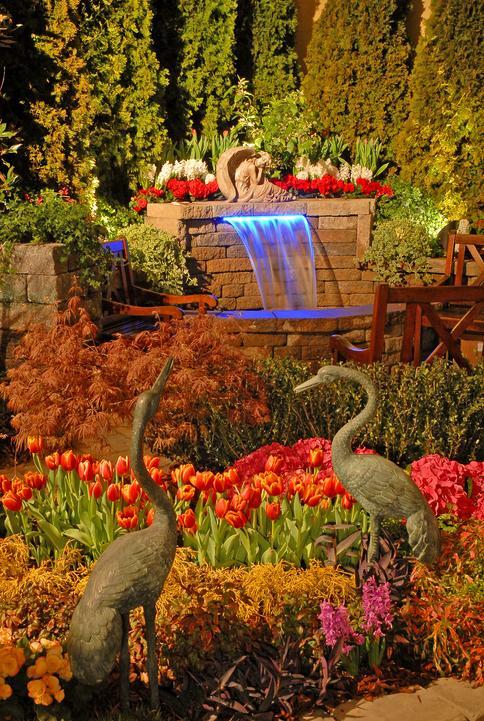 This entry was posted in Landscape Lighting, Trade Shows and tagged Landscape Design, Landscape Lighting, Pond Design, Trade Shows by Bob Lyons. Bookmark the permalink.